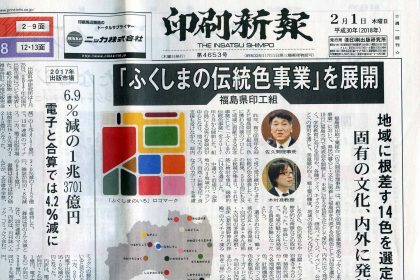 THE INSATSU SHIMPO that is printing business newspaper published by Printing & Publishing Institute in Tokyo, Japan has reported the release of RentiDotManger Ver.2.2 on February 1, 2018. 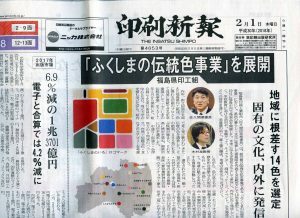 RittaiGiken,Inc. 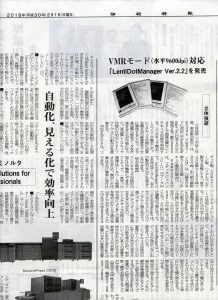 (Takuto Joko / CEO) in Tokyo, Japan has released LentiDotManager Ver.2.2 (raster image processor software) corresponding to KODAK VMR mode (9600DPI in horizontal) since February, 2018. Herewith, exclusive workflow providing extra high-quality lenticular printing in max. 9600DPI is now born. This Ver.2.2 enables to make high-quality printing data than before by securing lateral resolution necessary for lenticular printing. 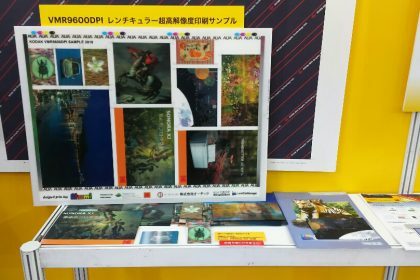 The combination of CTP and this software for high-quality lenticular printing is the best method for innovative printing companies. The printing samples of LentiDotManager Ver.2.2 will be showed at KODAK booth in「page2018」which is a general event of printing business from February 7th to 9th 2018 in Tokyo, Japan. 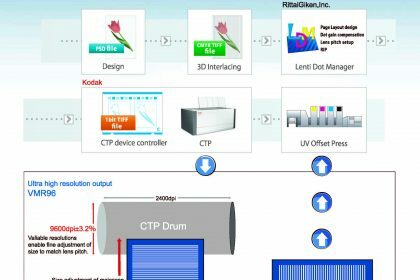 LentiDotManager is the software which can simplify layout of lenticular printing. It enables to make layout more easily for similar work because the information that was used once is managed in database. Lens sheet of lenticular printing expands and contracts by temperature. It is necessary to make fine adjustments to layout of output images according to the expansion and contraction. LentiDotManager makes layout according to the expansion and contraction only by inputting the number of lens pitch. This 9600DPI output enables finer layout adjustments. LentiDotManager corrects printer fan-out at a sub-pixel level. Streaking patterns caused by interference of correction pattern and lens does not occur. Lenticular printing enables to make depth by setting up many images in a horizontal direction. This correspondence to the horizontal direction 9600DPI output provides high quality halftone output. In lenticular printing, the lens which formed a line into a stripe form is laid over stripe-shaped image. Banding may occur because width of the stripe of the lens is little different from stripe of the print. As for LentiDotManager, banding works not to occur. LentiDotManager manages color banding as well. In image for lenticular printing, pictures to look from many directions are set up. Image size becomes large because many images are set into fine lens. LentiDotManager enables to layout large capacity image as much as necessary. Many of CTP output machine are spiral exposure type. In this type, banding occurs by spiral correction when lenticular printing is done. LentiDotManager outputs plate to cancel the correction. Moire is generated when lenticular lens interferes with halftone. Fine adjustment of halftone angle in ink can make moire less noticeable. LentiDotManager enables to set specific numbers of lines and degrees for every each image. 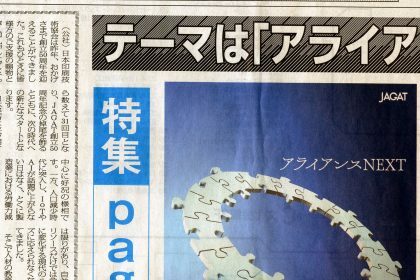 As to the information of the event, please visit「page2018」website in Japanese.